Alas, for poor Ichabod Crane! Felled by a pumpkin, it would seem. 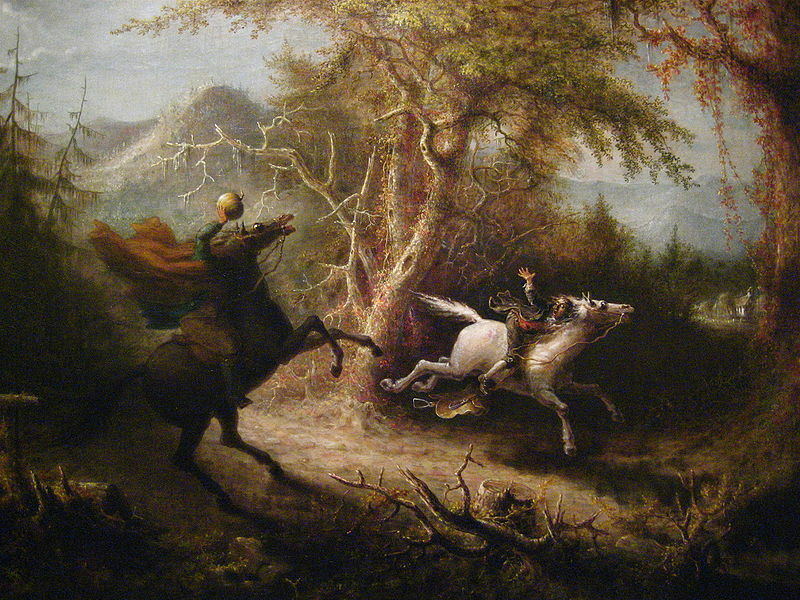 Actually, Washington Irving's classic tale The Legend of Sleepy Hollow leaves the reader to decide for himself what the actual fate of the poor doomed Crane really was. Supposedly he was knocked off his horse crossing a bridge when The Headless Horseman threw his own detached cranium at Ichabod. However, the next day only a splattered pumpkin was discovered, leading one to question whether the actual assailant might have been the dastardly Abraham "Brom Bones" van Brunt, Crane's arch-rival in pursuit for the love of the same woman. Regardless of the truth in the matter, the dark tale only adds to the mysterious, almost pagan-like image that pumpkins can possess, especially when they are seen lying in great numbers together under the moonlit skies of the lengthening nights of late autumn. But since we're safely past Halloween now, let us take a look at the more practical side of a pumpkin as well. Rarely across the land is a Thanksgiving table set without a succulent pumpkin pie featuring prominently on the menu. But is a pumpkin only good for eating? After all, if beer can be properly described as “liquid bread” as it is often referred, then why not liquid pumpkin pie as well? It is alleged that George Washington himself experimented with brewing beer using pumpkin, as well as other varieties of squashes. If it was good enough for the Father of Our Country, then why shouldn't it be good enough for us as well? This idea was not lost on the pioneer maverick craft brewer “Buffalo” Bill Owens, who founded the Buffalo Bill's Brewery in Hayward, California back in 1983. Owens was never a traditionalist when it came to making beer, and he loved to push at the boundaries of the brewer's art. In 1985, taking a lead from General Washington, Owens decided to try his hand at brewing a beer with pumpkin himself, and Buffalo Bill's Pumpkin Ale became the first commercially brewed pumpkin ale in the United States. His pumpkin ale is of a conventional strength of about 5 percent alcohol by volume, and features a blend of malt and mild vegetative flavors, complimented with the gentle pleasantness of several spices. The hop level is kept fairly low, so as not to overshadow the spice flavors in the beer. As bizarre as the concept of a pumpkin ale might initially sound to some, Owens' original recipe allows the eclectic combination of beer and gourd to actually work, and it makes for a surprisingly appealing and drinkable brew. As the perfect accompaniment to a cool fall day, Owens' prototype beer has emerged as a new classic on the American craft brewing scene. Numerous other breweries have followed his inspiration with their own interpretations of the style, even such commercial giants as Anheuser-Busch. to the next level. This has led in recent years to theemergence of so-called “imperial pumpkin ales,” brewed in the spirit of that timeless Yankee mantra that bigger is better. These hefty brews are somewhat higher in alcohol than standard pumpkin ales and generally feature an even bolder, more pronounced pumpkin flavor, as well as increased spiciness. They are generally the beer equivalent of the effect you might receive from eating a strong rum cake! 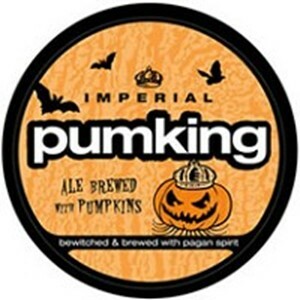 One such vegetative heavyweight is the Imperial Pumking Ale brewed by the Southern Tier Brewing Company of Lakewood, New York. It is a moderately dry version of the style, balanced with just a touch of modest sweetness from the use of caramel malt. It delivers a potent blast from its alcohol strength of nine percent by volume. It also features a pronounced spiciness, that is predominantly from it's use of Magnum hops for flavor, and Sterling hops for aroma. The name “Pumking” is supposedly from an ancient lyrical ode to Puca, a mythical creature of Celtic folklore. Drink enough tall bottles of this strong ale and no doubt Puca itself will appear to materialize right in your living room! 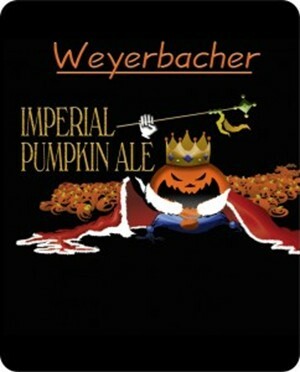 Another fine example of the imperial pumpkin ale is brewed by the Weyerbacher Brewing Company of Easton, Pennsylvania. Weyerbacher's interpretation is somewhat sweeter, and employs several spices that you would find in a traditional pumpkin pie. This ale is similarly potent, clocking in at about eight percent alcohol by volume. Home brewers can successfully make a pumpkin ale of their own if they are willing to employ a full grain mash in their recipe. To do so, the pumpkin must be cooked first by roasting it in an oven. This gelatinizes the starch in the pumpkin to make it available to be converted to fermentable sugars by the enzymes present in the barley malt. The cooked pumpkin is then added to the barley malt grain mash. After mashing, traditional spices can be added to the wort during the boil, such as cinnamon, ginger, and nutmeg (care must be taken with the nutmeg because it can be easily overdone!). Using these methods, I have home brewed several delectable pumpkin ales myself over the years. I must admit, I was not an easy convert to the enjoyment of pumpkin ale. In my earlier drinking days, I could be somewhat of a curmudgeon at times when it came to my beer, and I didn't like the idea of any “foreign additives” being brewed into it to pervert its originally intended flavor. However, my eventual evolution to a more open-minded attitude toward the brews I consume has opened up a whole new world of exciting beers to enjoy, not least among them pumpkin ale. I just make sure that I look over my shoulder every time I cross a bridge, lest there be a phantom pumpkin flying at my head!